Well the biggest stock-market levitation act since HP under Mark Hurd is going the way of all levitation acts: IBM is throwing in the towel on its $20 EPS "roadmap" (reportedly mocked as "roadkill" in some internal IBM quarters) and admitting what anybody with a calculator and the IBM 10Ks before them has understood for some time--it is exceedingly difficult to grow earnings regularly, not to mention with to-the-penny precision, when your sales are falling, hard, nearly everywhere, quarter after quarter...no matter how many people you lay off, how many "one-time" charges you take, how many lagging businesses you sell at fire-sale prices, how many shares you buy back at whatever price, or how often you try to direct the gaze of Wall Street's Finest to shiny new objects like your years-too-late efforts in "the cloud," which happens to be the very thing that is causing your revenues to fall in the first place. But shareholders--in particular the small investors who have clung to IBM's earnings "roadmap"even when the potholes were there for any professional to see--should not direct their ire at IBM management. After all, IBM's low-quality earnings were apparent and easily dissected, as you can read here, here and especially here if you like. Most companies (not all--Berkshire Hathaway is a notable exception, as are some others we could mention) report earnings in their best light possible, and IBM executives were simply doing what most of Wall Street's Finest (not all--there were some skeptics) allowed them to, no questions asked. Dead on. As you have been saying for some time. The other shoe has finally dropped. Now that Mark Loughridge, the spreadsheet master of earnings management, has retired, current IBM management will take the heat. The question is: Who's next? What other companies (aside from HP of course) have been promoting earnings facades to lazy and corrupted analysts? Jeff, we can hate the "playa" AND the game...the game is the Street's, but it was IBM chose to play, season after season. I've worked in companies where slavish devotion to the game impaired good strategic (and tactical) decision making. BIg Blue management both present and past deserves a ton of blame for the company's straits. Valeant will be next up. Great point about "the playa." Well said. Speaking of which, Valeant indeed fits the mold, as do more than a handful of others. 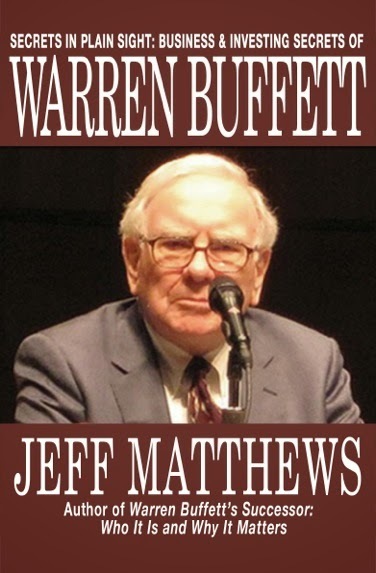 The question is will Buffett sell and move on, like he did with COP when he acknowledged he made a mistake.